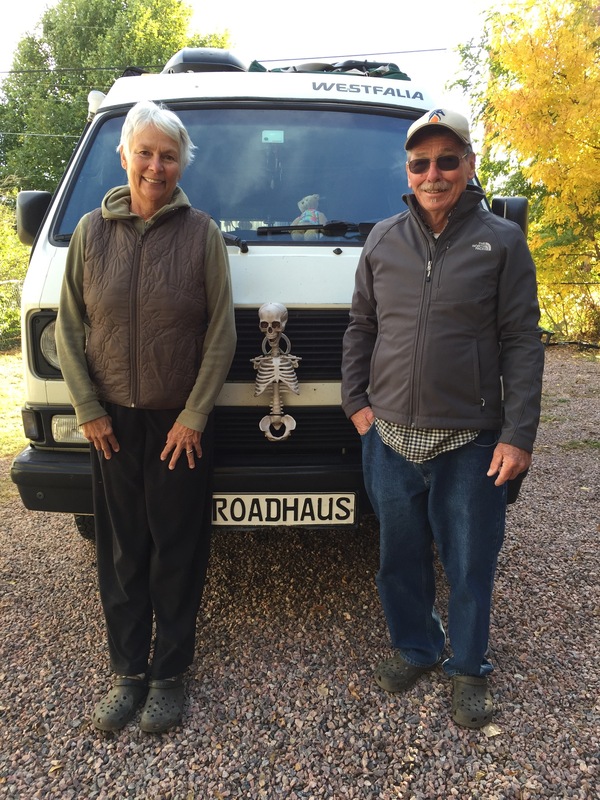 10/23/15 Enjoyed a three-day visit with friends Paula and Marvin while we adjusted somewhat to the change in altitude. Enjoyed some tasty meals, good conversation and walks. 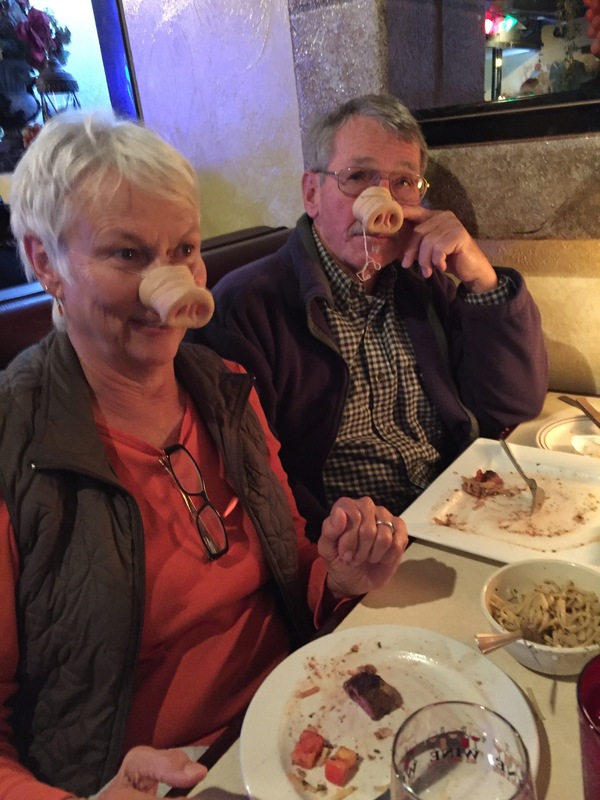 Eating out with these two is always an adventure. There’s a history here but we’ll leave it at that. As everyone knows, Colorado has legalized marijuana and we got a bit of an education during the visit. 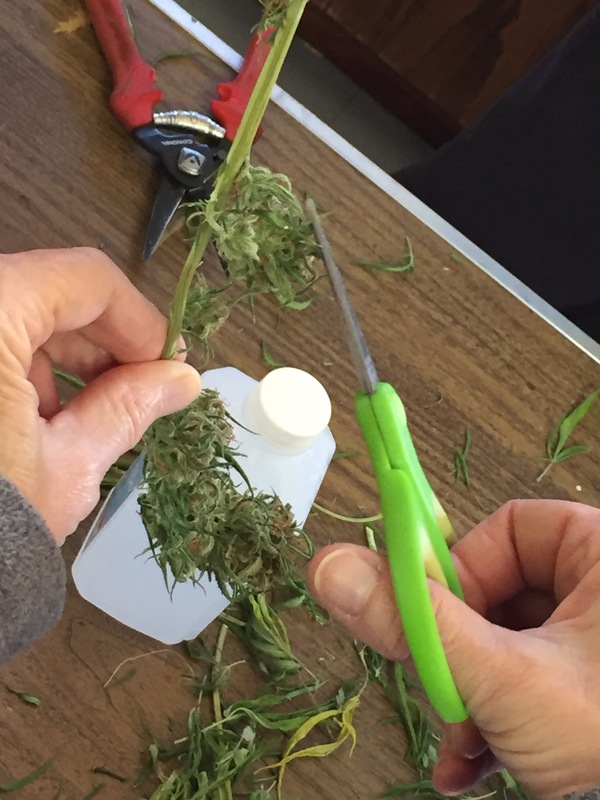 M and P showed us how to trim the plants after drying, saving the buds. There are many ways that marijuana is processed and used here – from smoking to baked goods, oils, and even candy and sodas, which seems a bit dangerous if there are kiddos around. The THC in marijuana isn’t activated until it is heated, so ingesting the raw buds wouldn’t get you much more than a tummy ache. 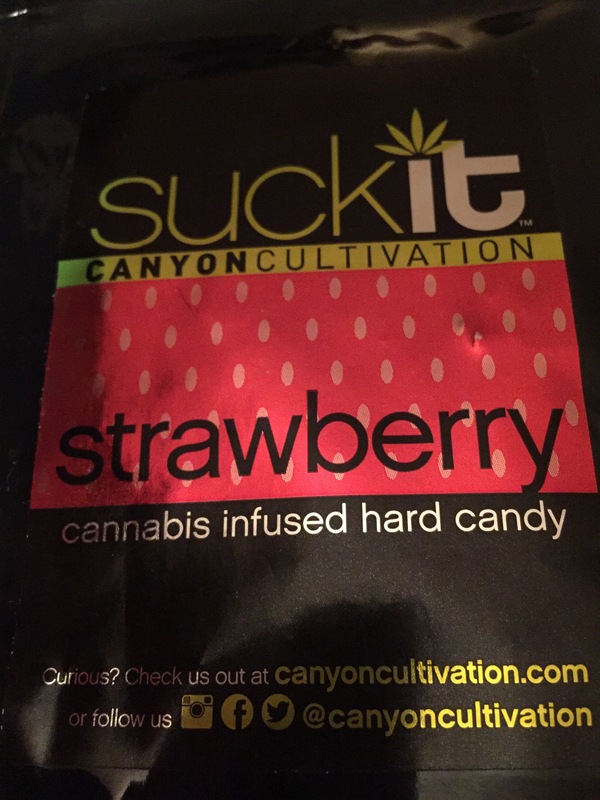 There are two kinds of stores here – medical and recreational. The medical requires getting a medical card. 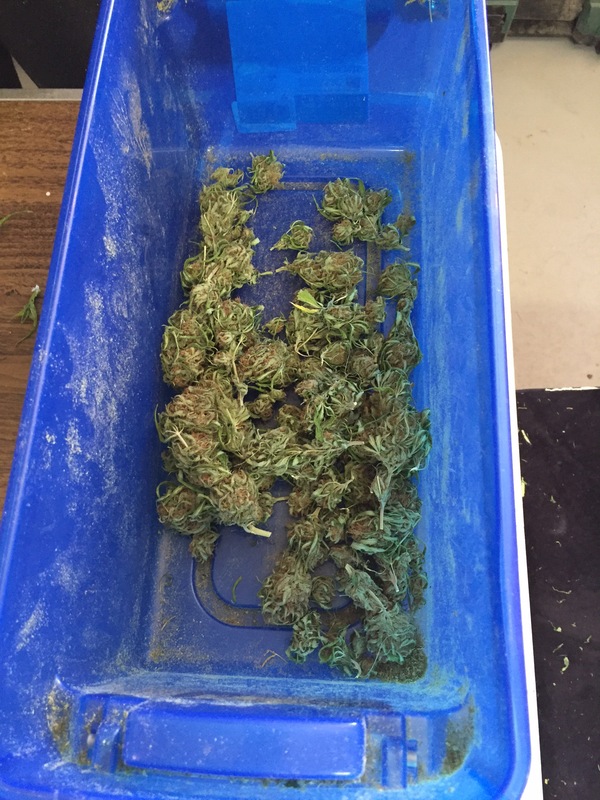 The medical marijuana does not contain THC and therefore does not produce a “high”. 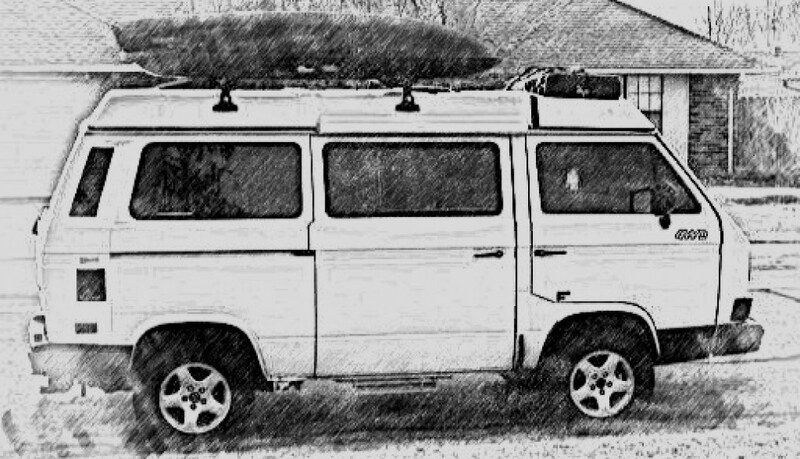 After a pleasant few days catching up with M and P, being treated to some good food, and enjoying some of Marvin’s poetry, we loaded up the bus and said our goodbyes. 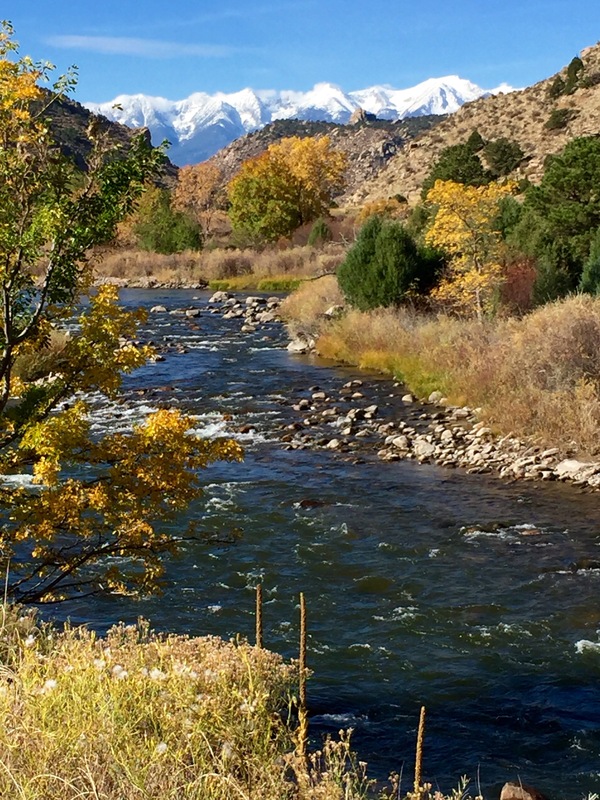 10/25 We drove on west, noting the snow on the Sangre de Cristos. We were alerted by friends that Wolf Creek Pass got 20+ inches of snow so we opted to take a more southern route. 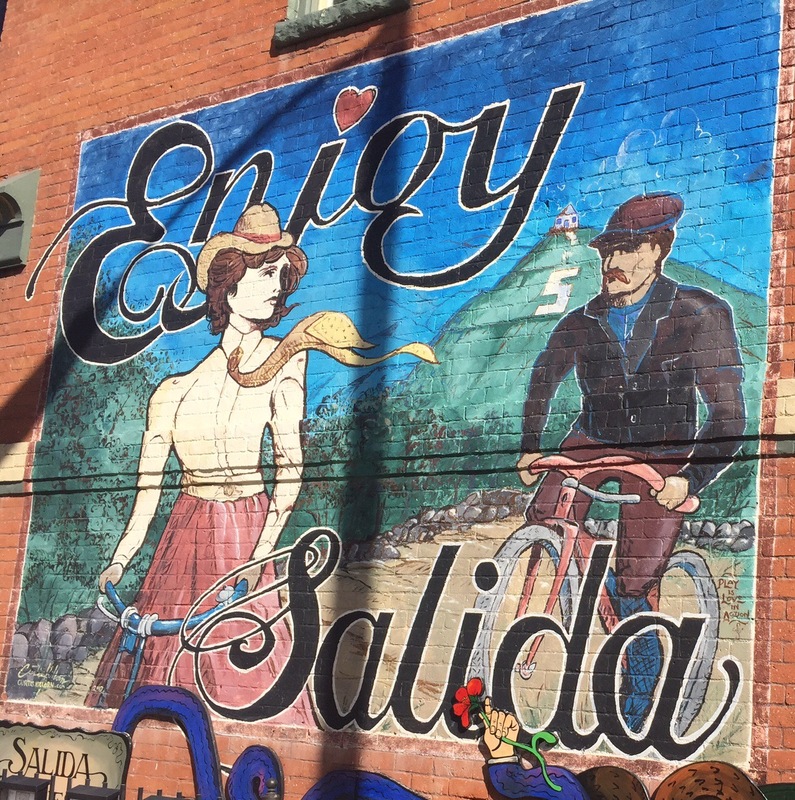 We stopped in Salida for coffee at Brown Dog Coffee Co. and a walk around the downtown. Headed south through the San Luis Valley to Alamosa where we had lunch and a short walk, then on to Chama. 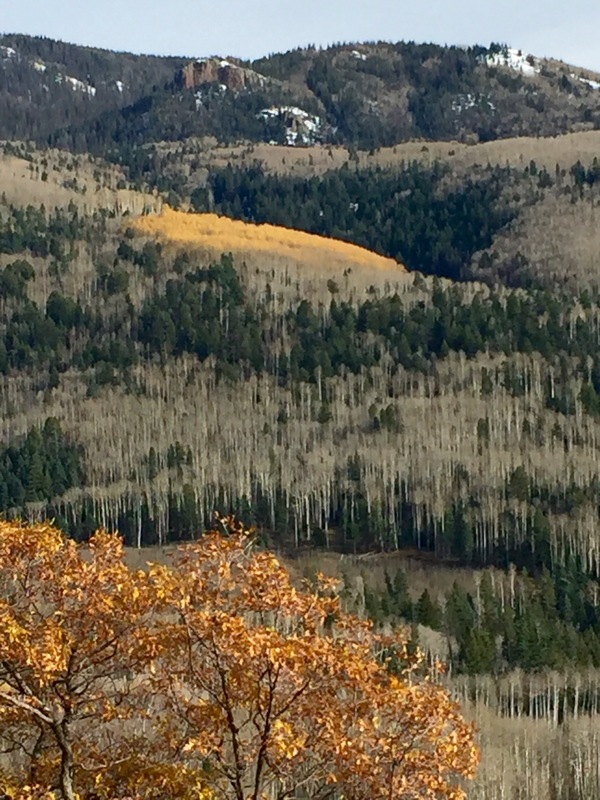 The yellow Aspens had grown impatient and departed, but for a few who stayed to greet us. 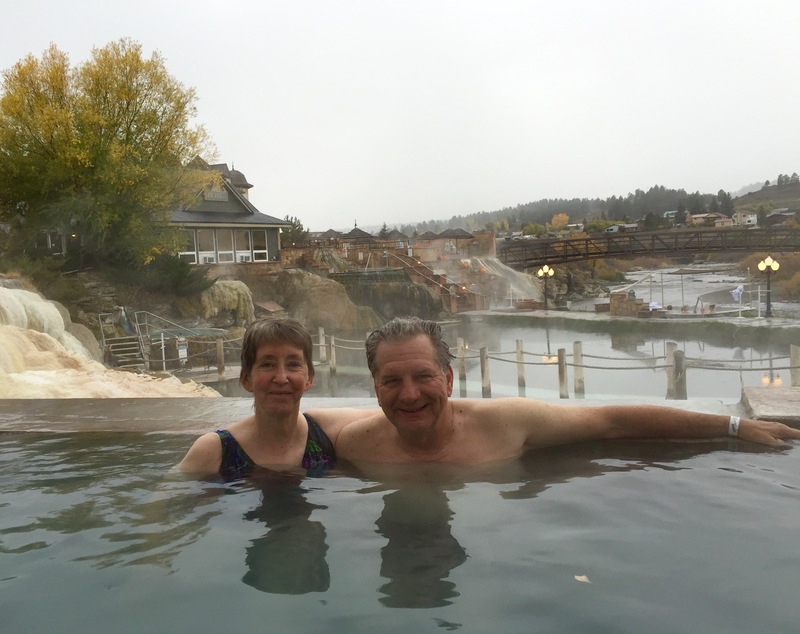 We camped in Pagosa Springs at a motel campground with hot springs and took an evening soak in the mineral waters. 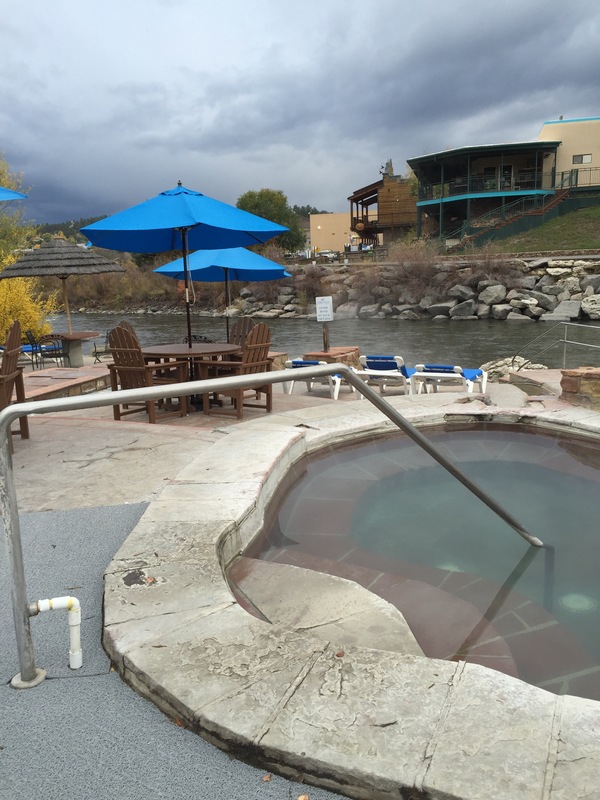 The next morning, our first-date anniversary, we walked across the street to the main hot springs spa overlooking the San Juan River. After a soak and a late breakfast at Rose’s on Main Street, we headed out for Mesa Verde, stopping in Durango for coffee and a walk around town. We arrived at Mesa Verde just before closing and drove up to the campground. The store, gas station, and other services were already closed for winter and only one loop was open for camping. 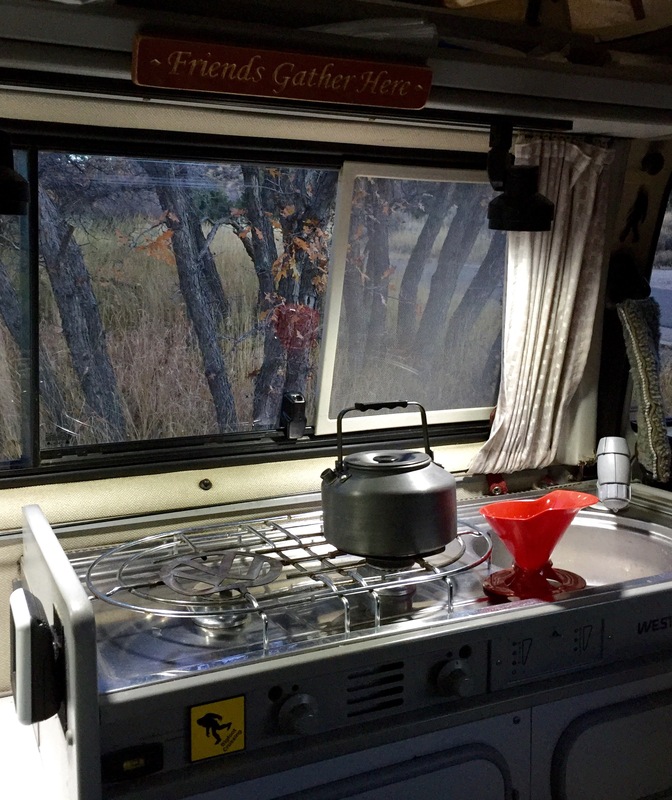 10/27/15 awakened to 29 degree temps and a white frost coating on the camp chairs. We were nice and toasty in the bus for coffee and pancakes. 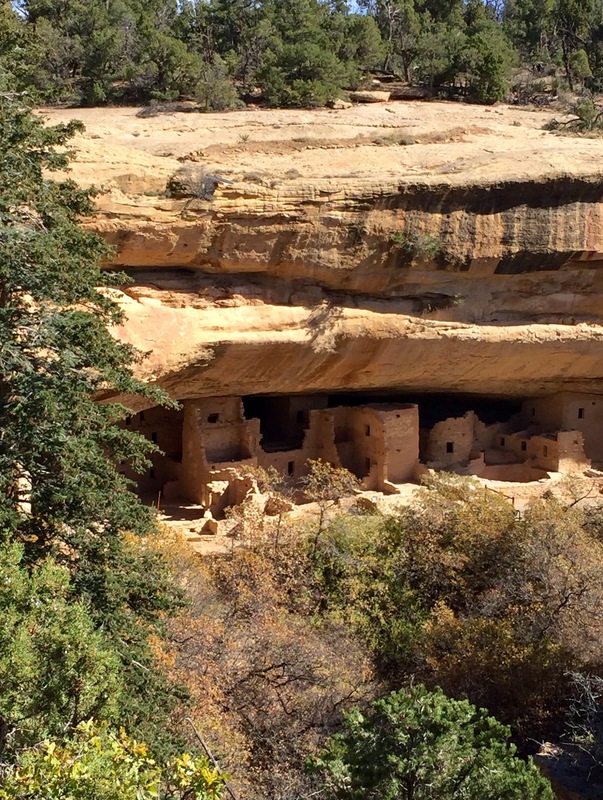 We had been warned that Cliff Palace was closed for restoration work and now learned that there had been a rockfall at Spruce Tree House, closing it to visitors as well, although both can be viewed from above. This left Balcony House as the only tour available. Larry took the tour and Maggie stayed up top in the bus after heeding the warnings about lung or heart problems or fear of heights. After the tour, we drove over to Spruce Tree House and toured the museum. Enjoyed a Navajo Taco and viewed Spruce Tree from above. We drove on to Cliff Palace, noting the huge burn areas from the fires of 2003 and 2004. Cliff Palace is stunning and never ceases to amaze. There is no cell service or wifi in the campground, giving us respite from our technology. The only sounds in the night were the haunting yips and howls of coyotes. 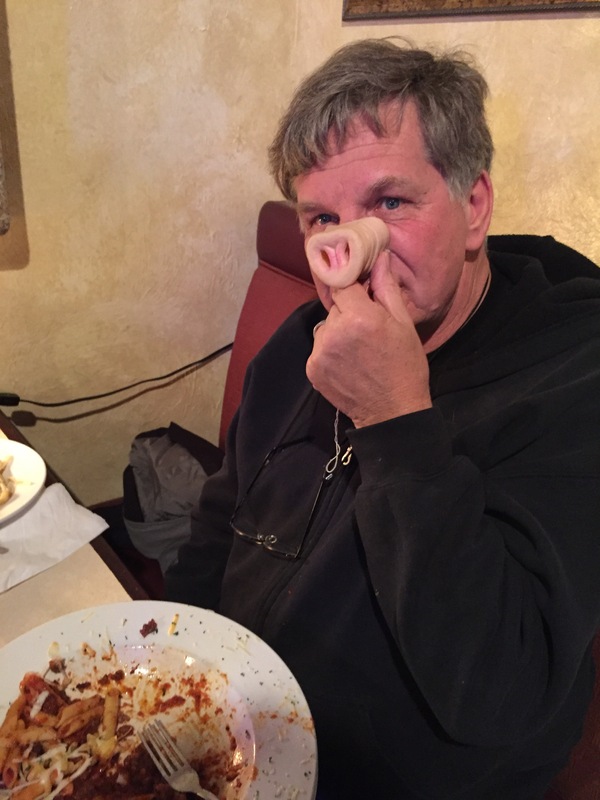 10/28/15 We left Mesa Verde and opted to motel it in Cortez, giving us an opportunity to get haircuts, showers, and do laundry before having a nice dinner at Nero’s Italian Restaurant. Maggie lobbied for taking a drive to Ute Mountain Casino after dinner and Lar went along. Lucky jackpot of $3,000 + was the happy result. 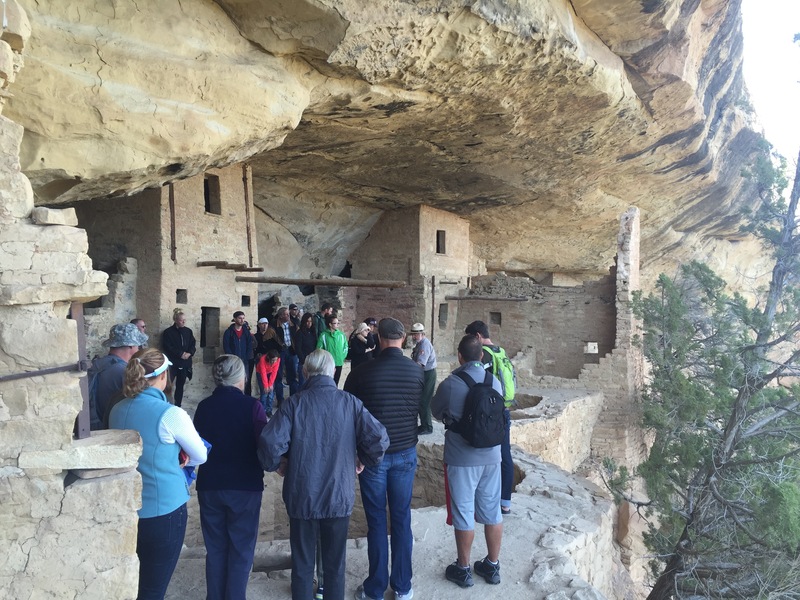 10/29/15 After a nice breakfast with Maggie’s friend Penny, a hospice nurse she had worked with in Cortez in the 90s, we drove up to Dolores to the Anasazi Heritage Center for a visit, then drove out to Sand Canyon Pueblo for a hike among the ruins. 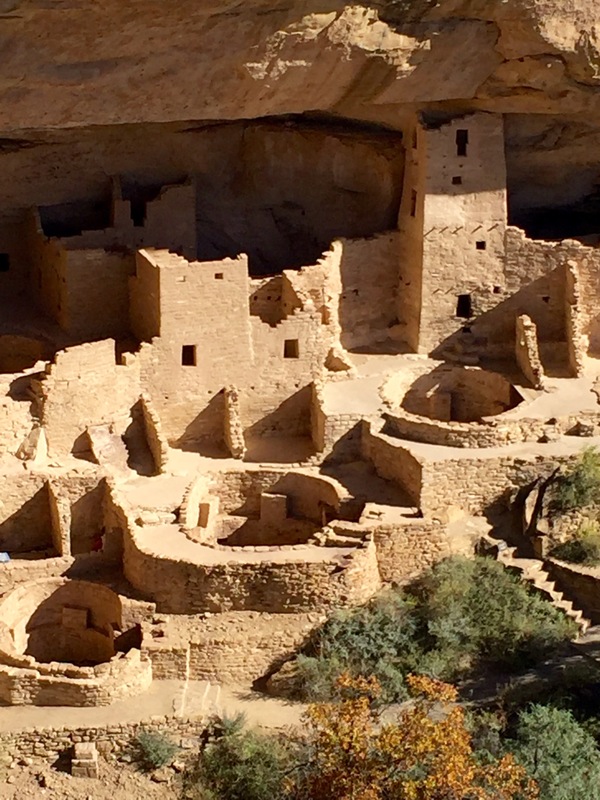 This village, in the mid 1200s, had 420 rooms and 100 kivas, with 14 towers. We said goodbye to Colorado and drove west toward Utah. I really don’t get the logic of requiring a prescription for marijuana that doesn’t get you high, but not requiring anything for the regular kind! Weird… But interesting to know that there is medical marijuana without THC – I’m not into altered states, but can imagine being in a health situation where I might want it for its medical benefits. Did you connect with Barb Cotton in Colorado? Is she at Estes Park now, or has she left for the season? Agree about the marijuana issue. We just found it interesting. As for Barb, she is already in Tombstone for the winter and we hope to meet up with her there.